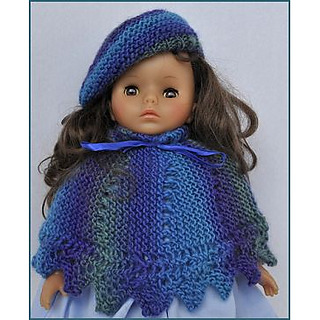 Knit a cute outfit - a poncho and a matching beret from Mochi Plus. 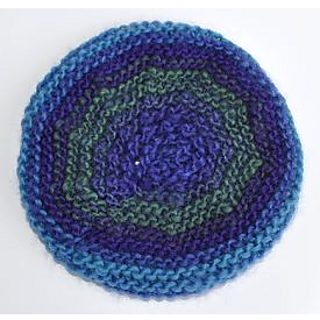 Easy to knit from 2 balls. 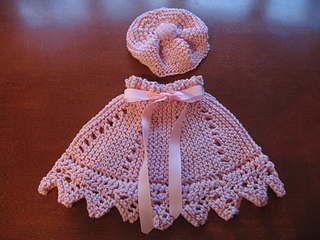 Your “doll” will love it. 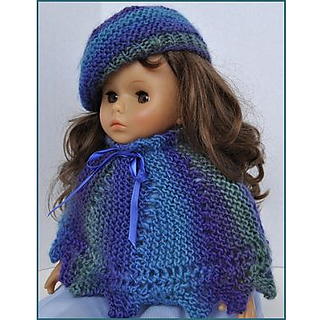 This 18” doll poncho will fit dolls such as Madame Alexander, American Girl, etc. 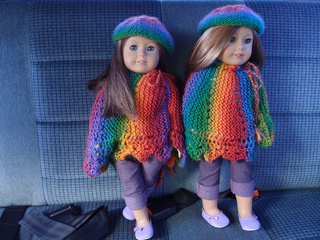 Includes directions for poncho and slouchy beret.